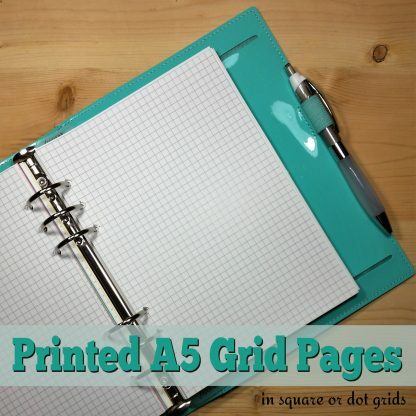 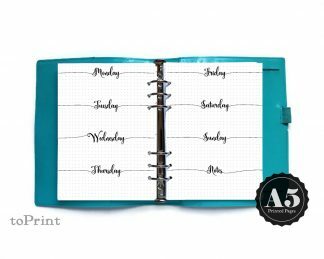 These square grid and dot grid pages are A5 sized sheets which have been printed, cut, and hole punched to fit in many common A5 6-ring binders. 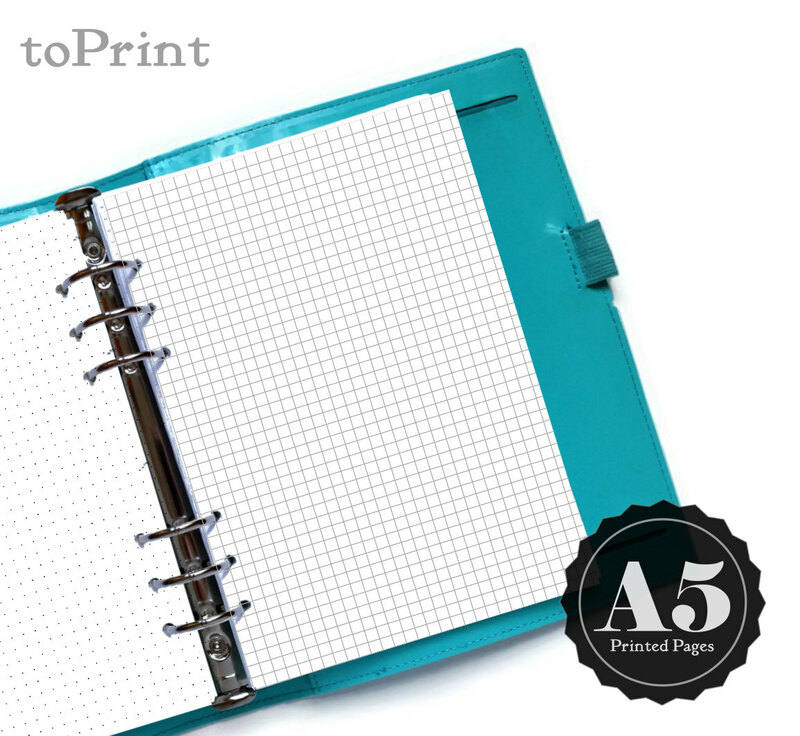 Choose from 5mm square grid or 5mm dot grid. Grids are printed in cool grey tones. 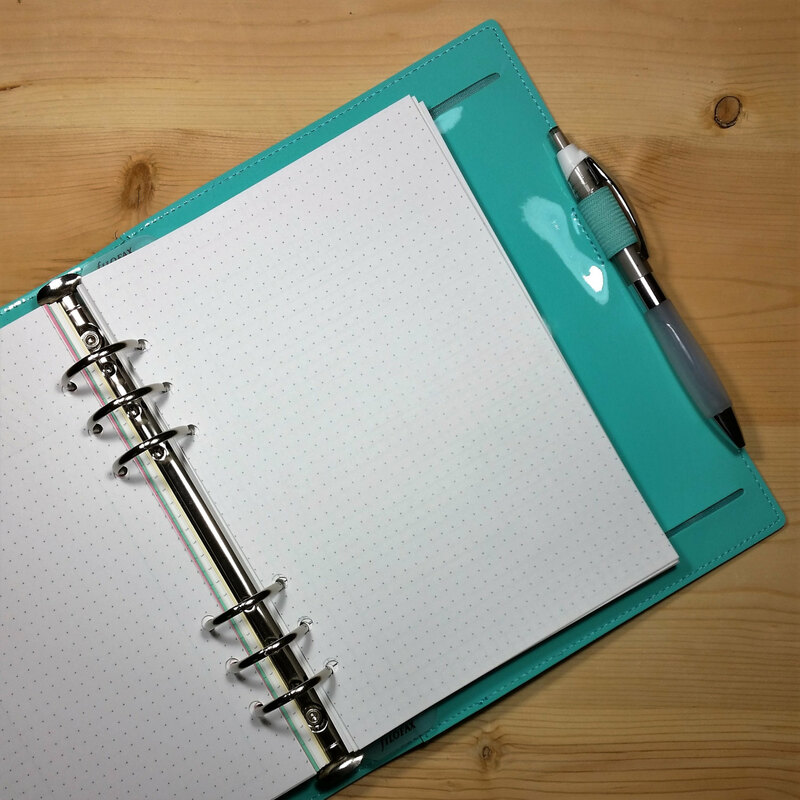 Grids extend to all edges of the page, without margins. 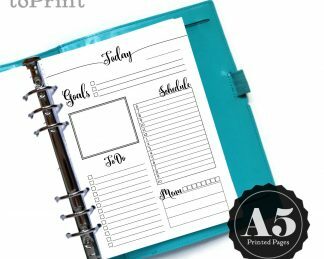 Comes in sets of 25 sheets, printed front and back (for 50 total pages of grids).